The Four Continents Championships will be an interesting competition as it will for a lot of skaters an early test before the World Championships. As the Japanese Federation had decided to send the same World team at 4CCs, the podium could be a Japanese sweep. Hanyu, Takahashi and Mura will be the top contenders here. The gold will probably be a fight between the newly crowned national champion Yuzuru Hanyu and former world champion Daisuke Takahashi who as been beated twice out of three times by his younger compatriot. 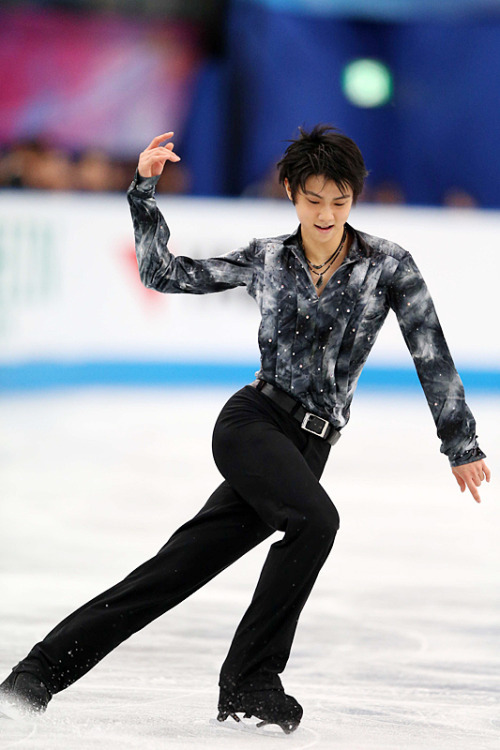 It is difficult to say wheather Yuzuru or Daisuke will take the lead in Osaka. If Yuzuru nails the short program, he will have an edge over Daisuke, but it is going to be an open challenge. Takahiko Mura surprisingly won the bronze medal at Japanese Nationals over Kozuka and got his ticket for 4CCs and Worlds. He also won at Trophee Eric Bompard this season, and with a solid quad in his repertoire, he might give the home crowd one of the best results Japan has ever had. North American skaters will try to do podiums as well and most of expectations will be on the new US champion Max Aaron who will show an amazing charactere and maybe some effortless quad salchows as he did at Nationals. Miner, Dornbush (who replaced Rippon) and Reynolds could be contenders too. 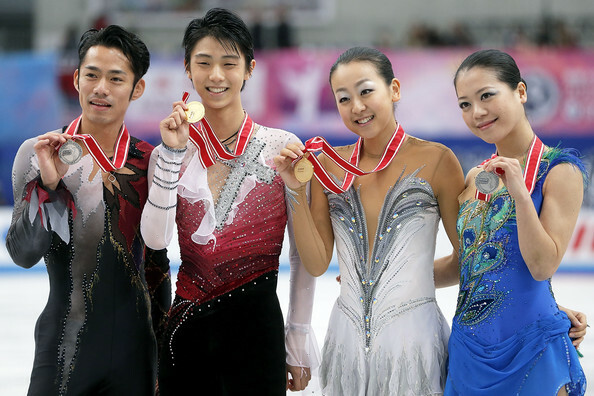 Here, again, team Japan is going gold for, but some young promises could fight for a podium position. Mao Asada is the favourite for a first place finish. She has been pretty consistant in the fall season, despite some permanent issues on rotating her jumps, but her strategy to perform clean with light and delicate programs is working well for her. It will be interesting to see if she will attempt a triple axel, that could be a key factor for the upcoming World Championships. Murakami is one of those skaters who improve as the season goes on and despite some rollercoaster grand prixs, she skated well at Nationals and I think she is going to do better and better. Suzuki, on the other hand, seemed to lose confidence as the season went on and she is now collecting a series of struggled free skates. She didn't even medal at Japanese championships, where the bronze was taken by Satoko Miyahara, still in the Junior circuit. In my opinion, Akikohas one of the most interesting free program of the season and she showed amazing things in the grand prix series but since judges don't usually give her high components scores, a weak technical performance could bury her. Gracie Gold's free skate at US Nationals proved that this girl has an amazing talent and will surely give her country immense satisfactions. Althought, those championships also showed that she needs time to develope her potential and find consistancy. However, before getting the star everyone is expecting her to be, she has a shot for medaling at this competition. Another national treasure, Kaetlyn Osmond won her first Canadian title this year with astonishing confidence. Maybe she is not as polished and sophisticated as some others, but she sates with such a joy and freedom that it helps not just her presentation, but also her triples. Take an eye out for Zijun Li from China, who has amazing triple flip-triple toe and mesmerizing spins.